Porter Wright is pleased to announce that two attorneys in its Columbus office—Karim A. Ali and Robert J. Morgan—have been elected to partnership in the Firm. Porter Wright is proud to welcome these two new partners as they contribute to the Firm's more than 165-year tradition of client service and professionalism. Karim Ali is a corporate transactional attorney with extensive experience drafting and negotiating retail and office leases as well as real estate acquisitions and dispositions. In addition, he has assisted with various types of business transactions including private placements, mergers and acquisitions, emerging and privately held companies, manufacturing facilities, and electronic financial service providers. In this capacity, Karim routinely conducts due diligence reviews, obtains regulatory approvals, and negotiates and documents transactions. His experience also extends to advising public clients on corporate governance under NYSE and NASDAQ listing standards, securities law compliance, 1934 Act reporting, and Sarbanes-Oxley Act compliance. Before joining the Firm, Karim served as a real estate attorney at Limited Brands, Inc.
Ali is actively involved in Porter Wright's diversity efforts, and has organized for two years the Firm's participation in the Law & Leadership Institute, which serves as a law school pipeline program for economically disadvantaged youth in Ohio. This strong commitment to mentoring youth in our community has led Ali to service as a board member for Directions for Youth and Families and as a Fisher Undergraduate Mentor for The Ohio State University Fisher College of Business. 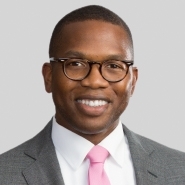 He is actively involved in the Columbus Bar Association's minority clerkship program and with the Wexner Center for the Arts, is a member of Columbus Young Professionals, and plans to ride his fourth Pelotonia this summer. The past three years, Karim has been recognized by Ohio Super Lawyers® — Rising Stars Edition. He received a B.A. from Talladega College, an M.B.A. from The Ohio State University Fisher College of Business and a J.D. from The Ohio State University Moritz College of Law. Bob Morgan’s intellectual property practice includes the selection and clearance of trademarks, the prosecution of applications for registration before the United States Patent and Trademark Office, and the representation of clients in inter partes proceedings before the Trademark Trial and Appeal Board. He assists with brand protection and rebranding efforts as well as the monitoring and enforcement of clients’ foreign and domestic intellectual proprietary rights, and he counsels clients on advertising, telemarketing, and email marketing matters, and the administration of contests, promotions, and sweepstakes. Bob’s information privacy and data security and technology practices include counseling clients regarding the collection and retention of personal information as well as related legal risks and data security breach investigation, response, and notification procedures. Bob is a Certified Information Privacy Professional (CIPP) through the International Association of Privacy Professionals (IAPP). For four years in a row, Bob has been recognized by Ohio Super Lawyers® — Rising Stars Edition. He received a B.A. from University of Kentucky and a J.D. from The Ohio State University College of Law.